Episode 5×22 “Missing” — Black Siren (guest star Katie Cassidy) returns to help Chase (Josh Segarra). Felicity (Emily Bett Rickards) organizes a birthday party for Oliver (Stephen Amell) while Lance (Paul Blackthorne) is furious after Rene (Rick Gonzalez) misses the custody hearing for his daughter. Mairzee Almas directed the episode written by Speed Weed & Oscar Balderrama. Air Date: Wednesday, May 17 (8:00-9:00 p.m. ET) on the CW. 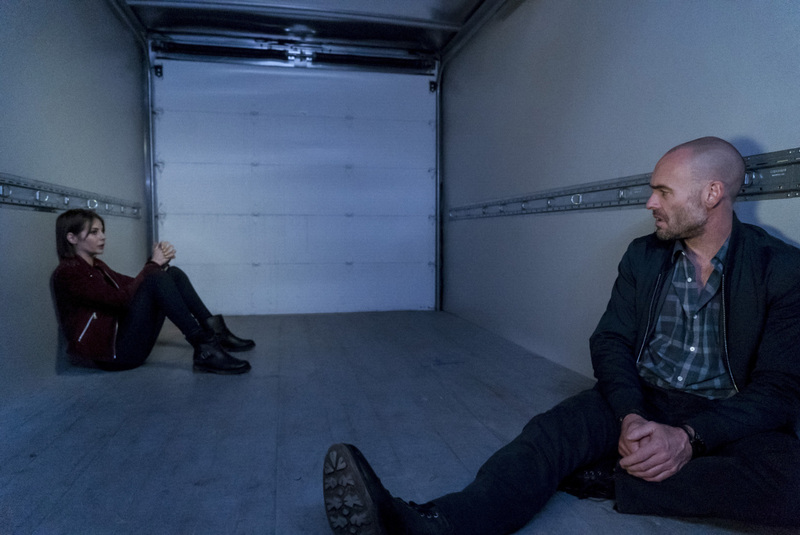 Arrow -- "Missing" -- Image AR522a_0015b.jpg -- Pictured (L-R): Willa Holland as Thea Queen / Speedy and Paul Blackthorne as Quentin Lance -- Photo: Katie Yu/The CW -- ÃÂ© 2017 The CW Network, LLC. All Rights Reserved.